Use the GO! Churn Dash die to make a classic favorite! 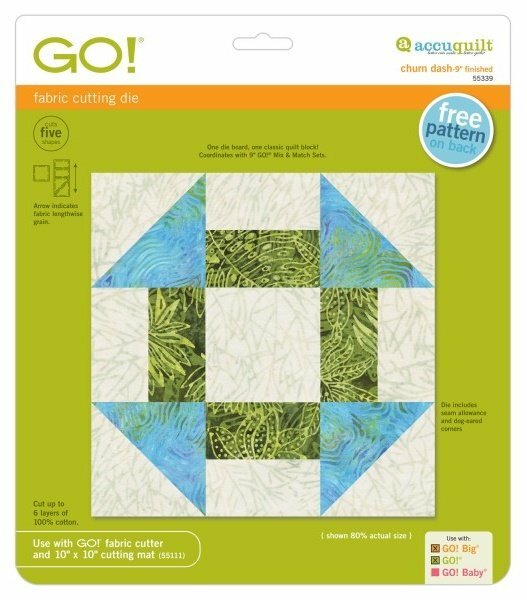 This block finishes at 9" as the Churn Dash, but feel free to use the building blocks (rectangles, half square triangles, and squares) to make a huge variety of other blocks. This die will be a go-to in your GO! collection.